LG might have seized some of Samsung’s CES limelight by unveiling a magnificent 8K monitor prior to the consumer show, but Samsung isn’t going to let that sideline its efforts. The South Korean giant has responded by unveiling the world’s first curved monitor equipped with Thunderbolt 3, which would make it an appealing deal for MacBook users, in particular. The “CJ791” monitor features a 34-inch ultra-wide curved display with a resolution of 3440×1440 and will be exhibited at CES 2018. 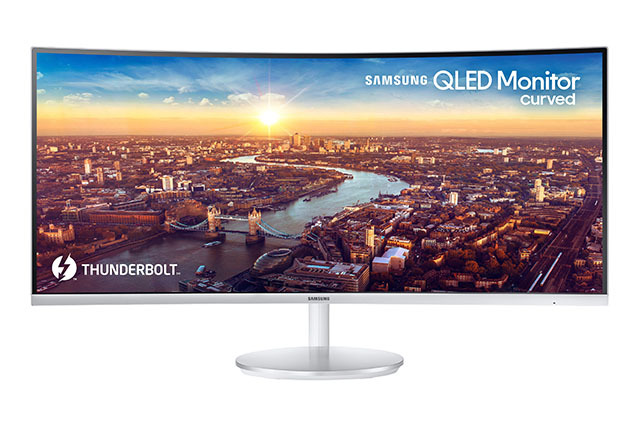 The curved QLED monitor boasts of impressive picture quality, thanks to support for a 125 percent sRGB color gamut which is guaranteed to produce “deeper blacks and whiter shades“. Samsung endorses an immersive experience courtesy of its 178-degree wide viewing angles and the touted “industry’s sharpest” 1,500R curvature. As per Samsung, the monitor is a practical solution for gamers and business professionals alike. While the ultra-wide display panel is expected to make managing multiple hefty spreadsheets very convenient, the 4ms response time should ideally be well-suited for gaming as well as watching high-resolution videos. Further, the display can be titled and elevated to guarantee that you don’t have to rely on armchair yoga poses for long hours of use. Thunderbolt 3 is advantageous over other display interfaces as it helps in reducing the thickness of the monitor, and provides one-port easy connectivity for a host of peripherals. At its best, it offers processing speeds of up to 40Gbps and allows users to easily plug-and-play a wide range of devices and peripherals including MacBook Pro, external graphics cards, and other laptops with USB Type-C ports. 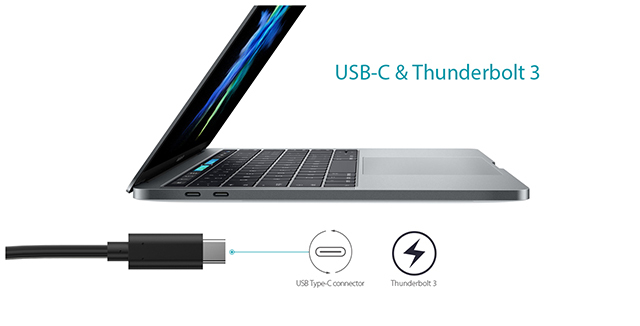 The Thunderbolt 3 interface also renders 85W of power for charging MacBooks, so you can connect it to the monitor and get charge without needing another cable. As for price and availability, we will definitely find out more when CES 2018 comes around next week.